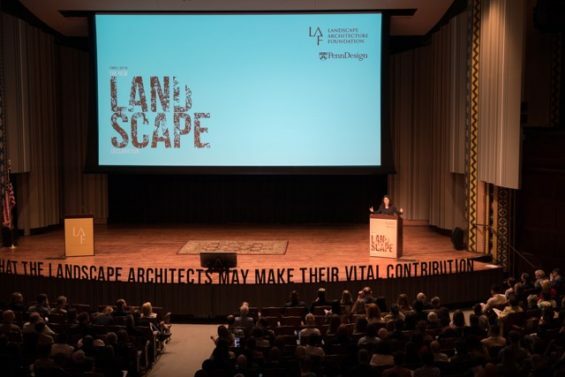 Back in early June, the Landscape Architecture Foundation held a summit on Landscape Architecture and the Future at the University of Pennsylvania. Over 700 attendees gathered to hear 25 Declarations and attend nine thematic panels to see if the landscape architecture profession has fulfilled its promises in 1966 and also to look forward to the next 50 years. The 2016 declarations were inspired by LAF’s original Declaration of Concern, written in 1966 by Ian McHarg and a group of colleagues. 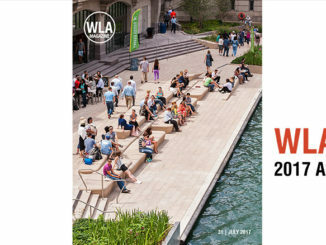 The 2016 declarations were written by landscape architects including James Corner, Kate Orff, Gerdo Aquino, Charles A. Birnbaum, Martha Fajardo, Gina Ford, Alpa Nawre, Martha Schwartz and Edith Katz, Dirk Sijmons, Carl Steinitz and many others. There were several other important events including Laurie Olin, Peter Walker and Cornelia Oberlander being interviewed by Fritz Steiner who provided insight into the profession past and future, along with a panel of five Olmsted Scholars who reiterated and expanded upon the larger themes of the conference. World Landscape Architecture did not attend the Summit but hopes that more will come from the discourse and declarations. Read more about the event at Landscape Architecture Foundation.